Big and Wide Seat and Back: Thicker back and deeper bucket seat provide extra comfort for home, office and conference occasion use. 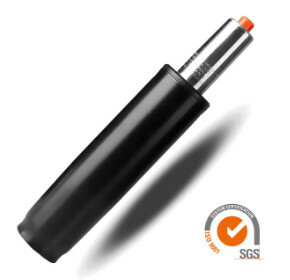 Selected Material: High Density shaping Foam, more comfortable, anti-oxidation, elasticity resilience and service life. 1.8mm thick steel frame is more sturdy and stable. 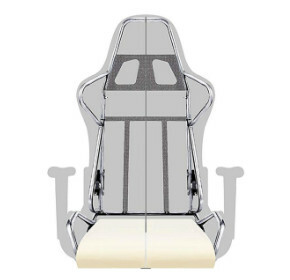 Multi-Function: 360 degrees swivel, Adjustable backrest with a 90°-180° safety angle, Class-3 explosion-proof gas lift. 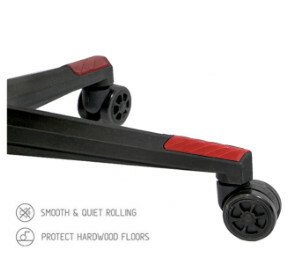 Premium rolling casters-keep quiet and no scratches on floor. 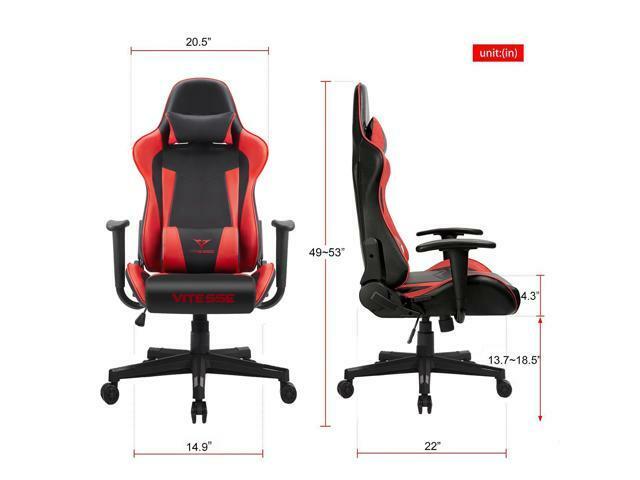 Ergonomic Design Gaming Racing Chair: Three points support on your Head, Spine and lumbar with removable headrest pillow and lumbar cushion. Load Capacity:300 LBS. Seating area Dimension: 14.9" x 22" (W X D),Backrest dimension: 20.5" x 33.5" (W X L),Adjustable seat height: 13.7"-18.5". Choking Hazard:Small parts. Not for children under 3 years. 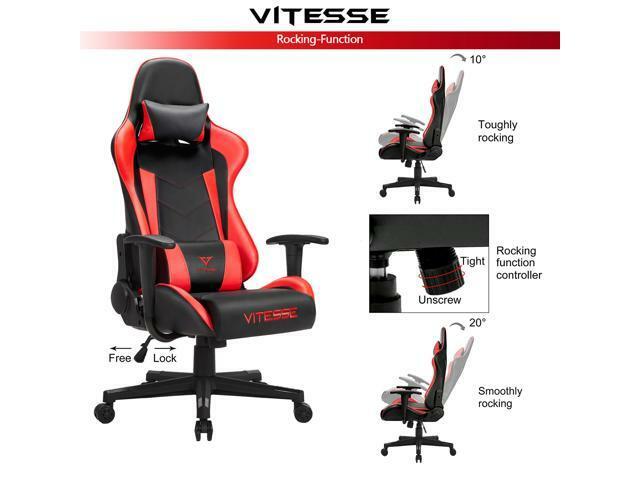 Vitesse Zero series is collection of racing-style gaming chair designed ergonomically for gaming or office use. 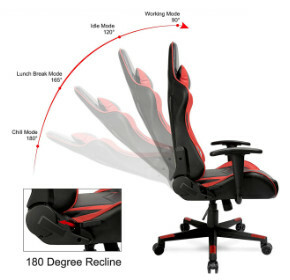 Perfect gaming position back adjustment and seat height adjustment. 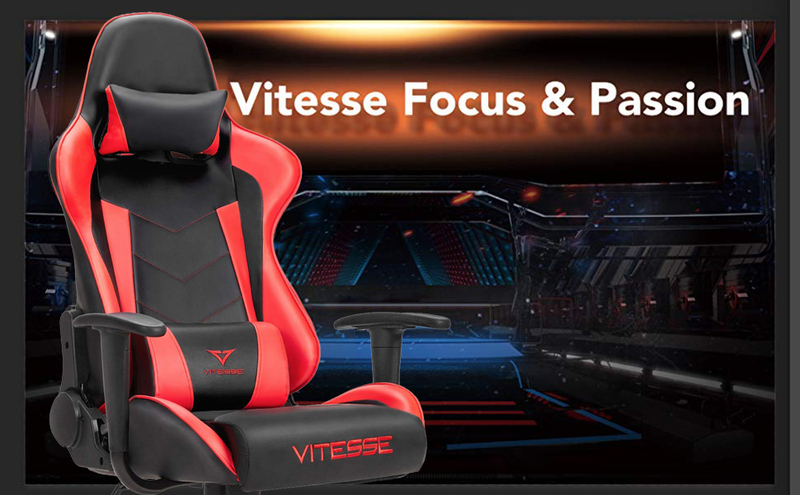 Premium leather and contrasting color design with Vitesse logo, all design helps you focus on gaming and release the passion. 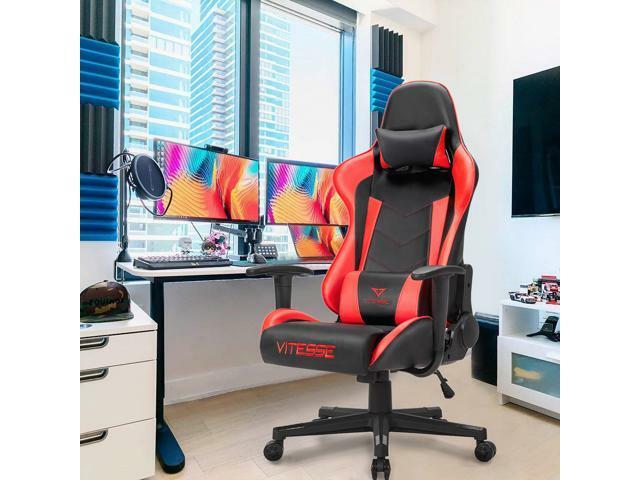 Find your perfect position by recline 90° -180° back adjustment, 360° swivel with premium rolling caster and seat height adjustment from 13.7”-18.5”. 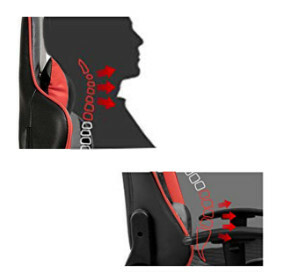 The three points ergonomic system with neck, back and lumbar support provide high performance support on your body. 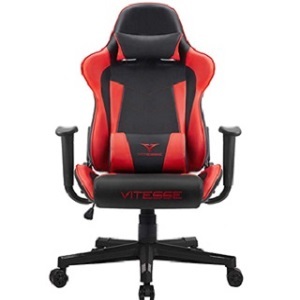 -Warranty: 3 years replace for Metal frame. 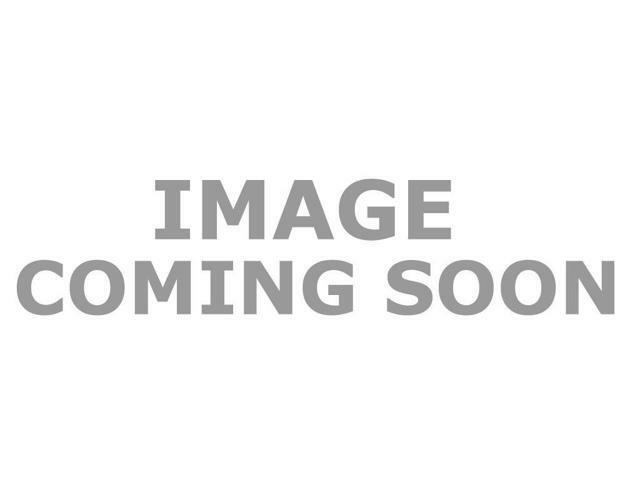 -Rust-proof: passed European E1 environment painting avoid rust test. 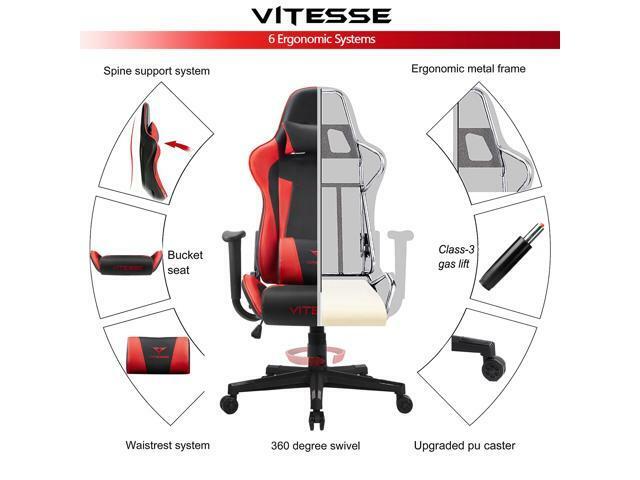 Vitesse use class-3 explosion-proof gas lift and verified by SGS,more safe and more reliable compared with class 1 or 2 basic gaming chair. 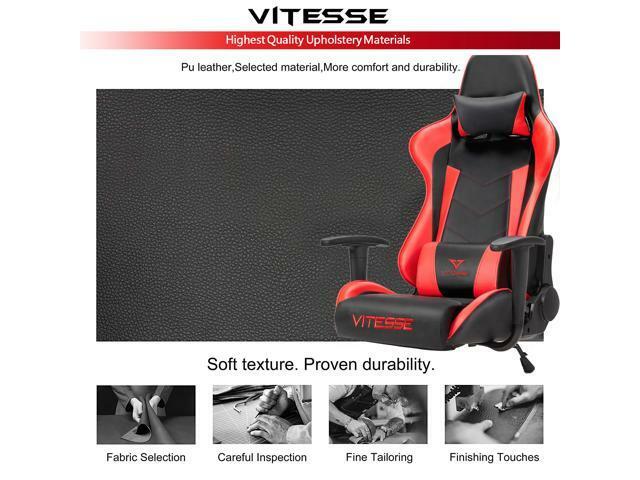 Vitesse use premium PU Rubber caster, More sturdy and durable, keep your chair quiet during intense gaming time. 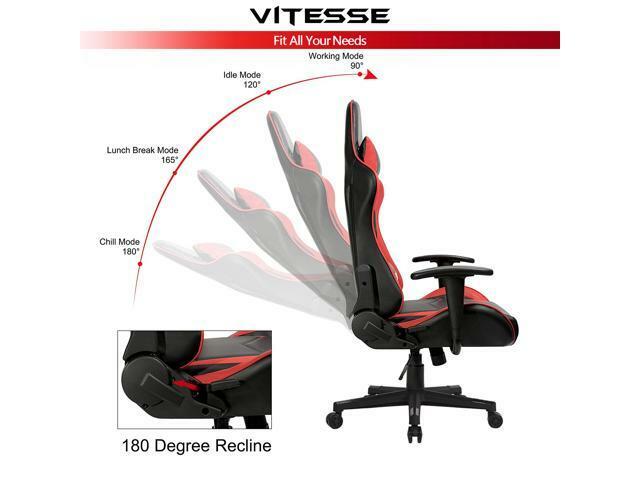 This item is covered by Vitesse Return Policy.